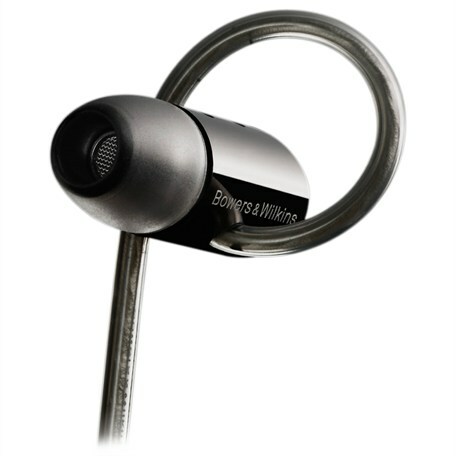 After many months of use; the sound level of my B&W C5 in-ears was starting to degrade – to the point where even with volume control turned all the way up on my iPhone, music or conference calls became hard to hear. Clogged! Google did not have any good results on how to fix this. Common suggestions for in-ear buds include cleaning with a cloth, a soft brush and some detergent (lukewarm soapy water, alcohol etc). This did not work for me – the fine metal mesh in the in-ear piece appeared to be stubbornly clogged. 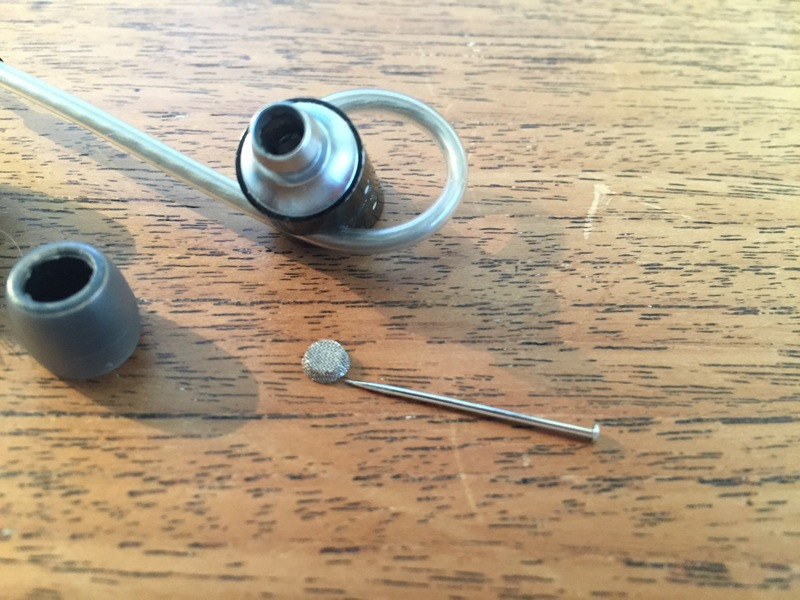 While some users reported successfully opening the earbuds with a vice and pliers, that seemed too destructive to me. Luckily, I tried the following as a last resort: carefully sticking a needle in the mesh allows to exert enough pulling force to remove the screen from the earbud. Taking out the metal screens allows me to clean them easily, fully restoring the sound output to its original, glorious levels. After cleaning, the mesh screen can be easily placed back in its original position. In my case, the remaining glue residu was sufficient to keep it in place, but you could carefully add a small amount of glue to be safe.